A Decade After The Bubble Burst, House Flipping Is On The Rise House flipping is at an 11-year high in the U.S. New research shows borrowers with good credit like flippers, and not subprime borrowers, were mainly responsible for the crash. Is another bust coming? 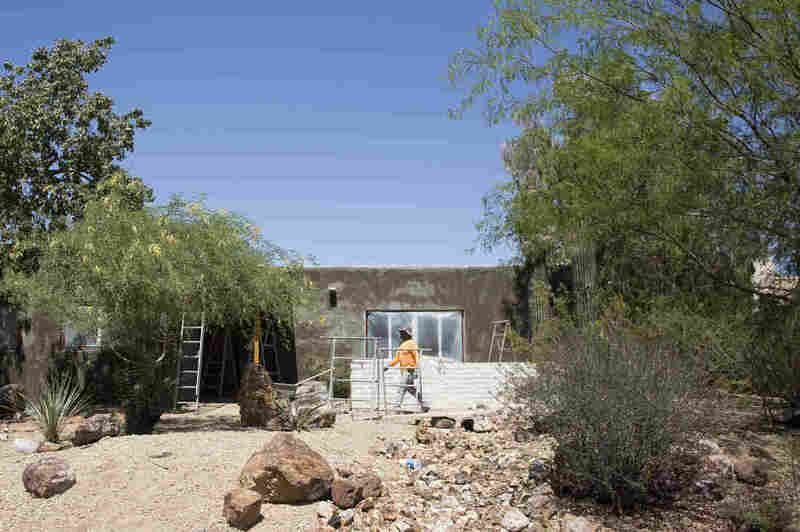 A team of contractors works on the renovation of a home in Phoenix. 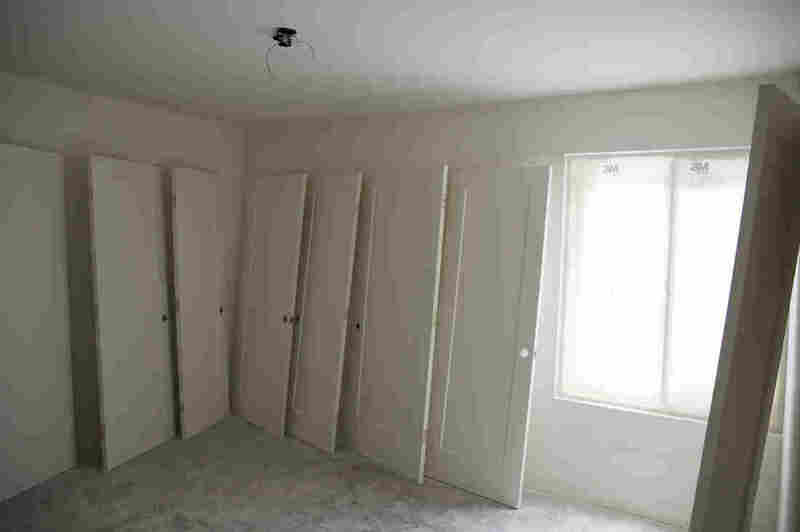 A decade after the U.S. housing crisis, some old habits are back, including house flipping. Amid saguaro cactuses and yucca plants, Lauren Rosin shows off a house that she's renovating in Phoenix's Central Corridor, a pricy neighborhood north of downtown. "This was actually a courtyard and I blew it out," she says, pointing to what will now be an extra-large open kitchen with custom cabinets, quartz countertops and chandelier-style lighting. She'll also upgrade the swimming pool in the backyard. But Rosin won't live in the four-bedroom, three-bath midcentury ranch once it's finished. She and her business partner Brad Pickett are house flippers: Pickett buys the homes, and Rosin leads a crew of contractors to rehab them. They flipped 27 homes last year. These days, profits are tight, and they face stiff competition. 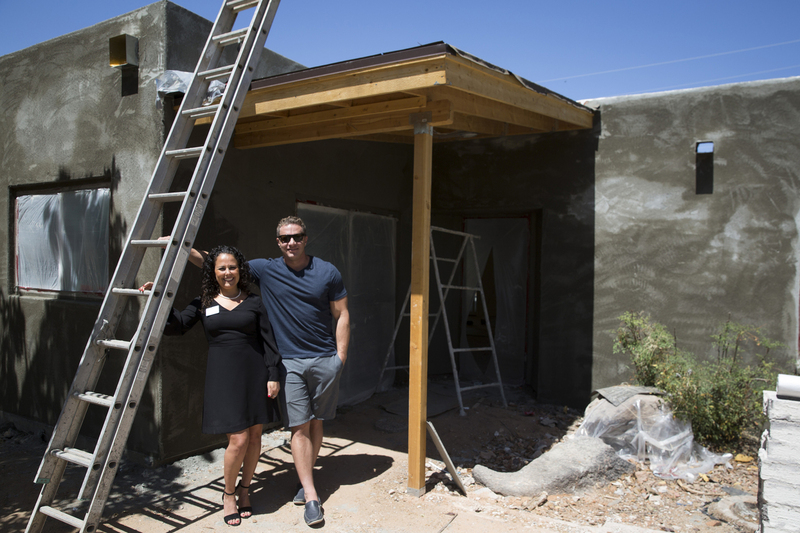 Realtor Lauren Rosin and investor Brad Pickett work together flipping homes in Phoenix. More than 8,500 homes sold in the Phoenix metropolitan area last year were flips, more than anywhere else in the country. That's because a decade after the U.S. housing bubble burst, house flipping is on the rise again. Defined as reselling a house within a year of purchase, flipping is at an 11-year high in the United States and it's the subject of dozens of TV shows and weekend workshops promising to teach real estate novices how to make a fortune. New research shows that flippers contributed to the housing crash of the mid-2000s more than economists initially realized. Because some of the same practices from the boom are making a comeback, some market watchers are concerned that the real estate market might once again be nearing a bubble. But for now, experts say those concerns are overblown, thanks to changes in the mortgage industry and other factors. The last time this many homes were being flipped was during the housing bubble. Flipping peaked in 2005, when 8.2 percent of all single-family homes sold nationwide were flips, about 344,000 homes, according to Attom Data Solutions, a research firm that collects and analyzes nationwide real estate data. In areas where the bubble was growing fastest, flip rates were even higher. In Las Vegas and some parts of Florida, the flip rate reached nearly 19 percent. 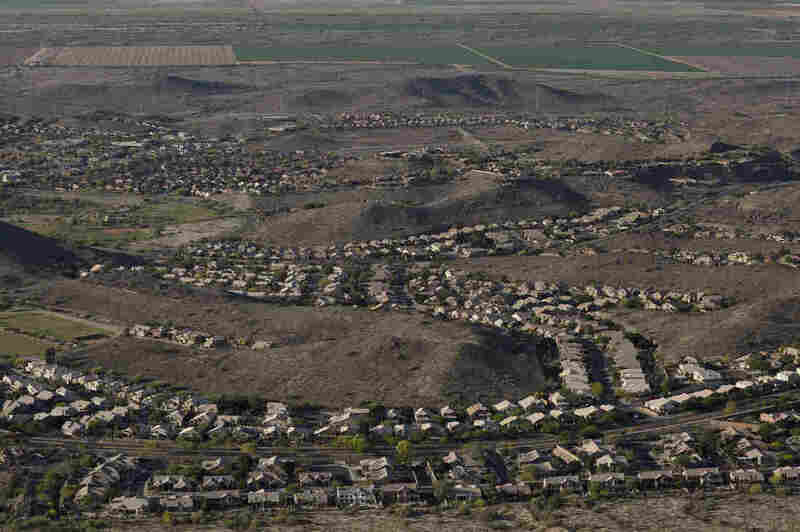 In Phoenix, about 16 percent of homes sold were flips. A look at the market in Phoenix, considered a bellwether by industry experts, is a good way to see how things have changed or not. More than 8,500 homes — or 8.5 percent — sold in the Phoenix metropolitan area last year were flips, more homes than anywhere else in the country, according to Attom. Before the crash a decade ago, flippers didn't need to do much to make money. Financing was easy to get; people with high credit ratings could use no-income, no-asset loans to buy real estate. The housing bubble was inflating so fast, investors could buy, hold — sometimes renting out the properties to make a bit extra, sometimes renting at a loss, sometimes not even bothering to rent — then sell, over and over again. Then the floor fell out from under the housing market. Lauren Rosin got into flipping in 2009, during the bust. In Phoenix, the crash was disastrous. Homes on average lost 56 percent of their value. Lenders foreclosed on tens of thousands of families. 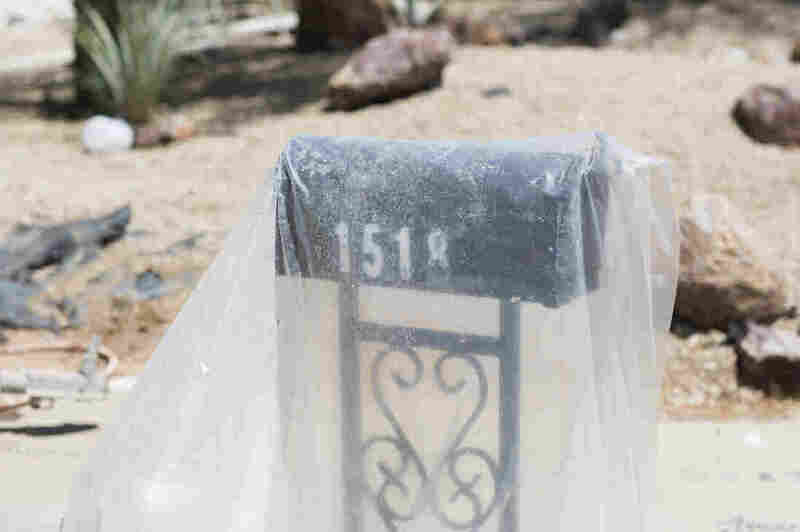 To Rosin, the wave of foreclosures meant that there were thousands of houses on the market that needed only a face-lift to net her a tidy profit. "It was really sad because you're watching so many friends and family go through losing their homes," she says. "But I just looked at it as such a great opportunity." Ten years into her career flipping houses, Rosin's operation is much more streamlined and professional. But it's harder to make money now, she says. Her profit margins are significantly thinner, typically 10 to 15 percent of the eventual sales price. She has to know exactly which amenities will yield more profit and which to skip, and the fine line between upgrading and going overboard. New research and data suggest that the practices of house flippers fed the bubble of the early 2000s. Much of the blame for the housing crash has fallen on subprime borrowers and people who bought and lived in homes they couldn't afford. But researchers are now coming to understand that a big part of the problem was people with better-than-average credit scores who owned multiple homes — not subprime buyers, but real estate investors, landlords and flippers. Stefania Albanesi, an economist at the University of Pittsburgh, argues that the rise in mortgage defaults during the housing crash was mostly attributable to real estate investors, including flippers. During the bubble, about two-thirds of home flips nationwide were financed with loans, according Attom. In places like Phoenix and Florida, that number approached 80 percent. Contractors apply stucco to the exterior of a home being renovated by Rosin and Pickett. Ten years into her career flipping houses, Rosin's operation is much more streamlined and professional. Still, it's harder to make money. The problem with that, Albanesi says, is that real estate investors such as flippers are at greater risk of defaulting on their mortgages than normal homeowners. "If you lose your home that you're living in, you have to relocate your family, find other housing, and maybe have a longer commute," Albanesi says. "This is not something that's there for the investor. Overall, their default probability is much greater." Normally, people with above-average credit scores are unlikely to default on their mortgages. But during the crisis, Albanesi's research shows, it was borrowers with good credit scores who had taken out mortgages on additional properties — mostly investors — who defaulted at historically high rates. "These borrowers looking to buy their second, third and fourth homes would tend to go to unconventional lenders and would tend to obtain loans through nonstandard products such as adjustable-rate mortgages and so on," Albanesi says. "These loans are more expensive. They have higher interest rates. And so, other things equal, it's more likely that these borrowers might default." Despite the volatility they can bring to a market, flippers can and do bring value. Many homebuyers don't have the energy, resources or know-how to renovate a home that needs it. Flippers can help boost the supply of "move-in ready" homes. "I don't think there's anything inherently wrong with flipping itself," says Steve Swidler, a finance professor at Auburn University. "In fact, flipping has probably given life to the housing markets that were most hurt back in the financial crisis itself." Now that the real estate market has stabilized, flippers can't ride the bubble or scoop up foreclosed properties on the cheap. They have to add real value to turn a reliable profit. At the height of the bubble in Phoenix, the typical flipped home was originally constructed in the mid-1990s, according to Attom. In other words, people were flipping properties that were only about 10 years old. Now, the average flipped property is typically about 30 years old. 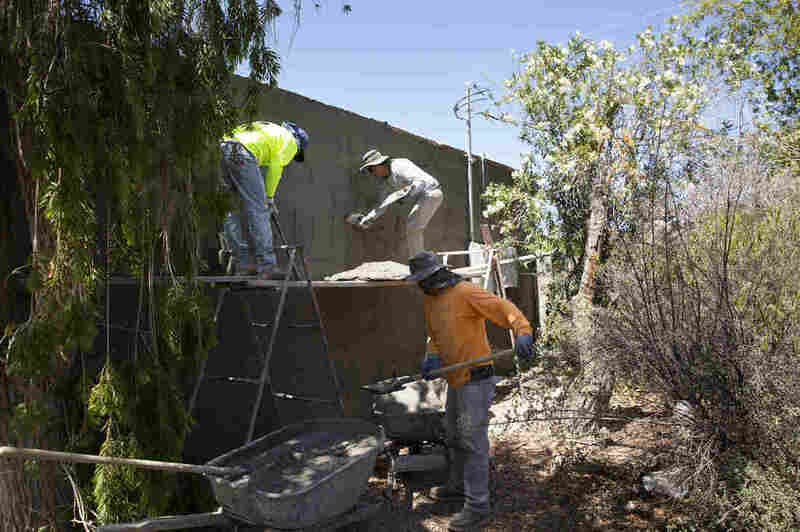 "They're older homes, which inherently are going to require more work," says Daren Blomquist, senior vice president for communications at Attom. "They're going to actually have to improve the conditions of these homes, which I think is healthy for the housing market. Flippers can step in and actually provide inventory of homes that are somewhat 'like new' if they do a good job." In areas that didn't experience the housing bubble as intensely as places like Phoenix, Las Vegas or Florida, flipping rates have stayed more stable, growing slowly over time instead of swinging wildly from boom to bust. But as flip rates in cities like Virginia Beach, Va., Baltimore and Birmingham, Ala., near 10 percent, some wonder if there is cause for concern. Real estate experts in Phoenix, where these risk factors are ahead of national levels, say there's no reason to sound the alarm yet. 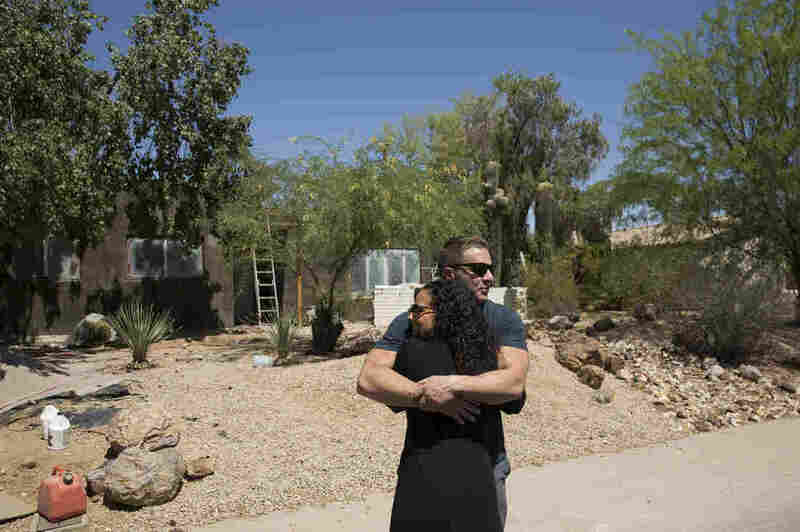 During the housing boom, prices were rising so quickly that inexperienced real estate investors could turn a profit despite their lack of expertise, says Mark Stapp, who teaches real estate development at Arizona State University. "Today, you can't. It's harder," he says. He points to financing and commercial lenders. 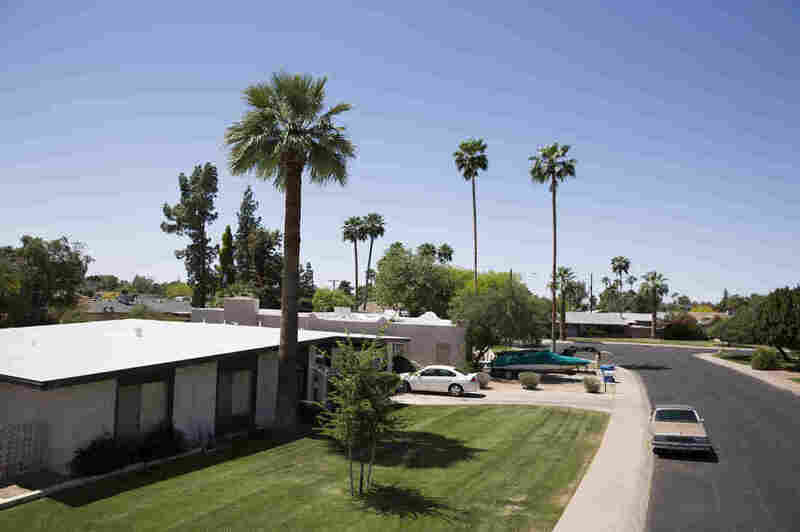 During the bubble in Phoenix, more than 75 percent of flips were financed with loans. Now, flippers in the area acquire about half their homes with financing, half with cash. "Commercial lenders have been very disciplined," Stapp says. "The loan-to-value, loan-to-cost, those kind of metrics, they're keeping very low and tight control over. The issues we had previously with abuse through manipulating appraisals, that isn't really happening." Simply put, Stapp says, though some of those inexperienced flippers are back, they're still too small a portion of the market to worry about. "I think it's such a small number," he says. "I don't think it's to the point where it so dramatically affects the market that the market gets hurt by it." Becky Sullivan and Jolie Myers produced and edited the audio story. Maureen Pao produced the story for online.